What do cherries and roses have in common? 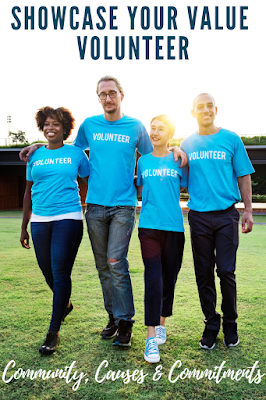 Cherries belong to the Rosaceae (not to be confused with Rosacea) family including all of the goodness of almonds, peaches, apricots, strawberries, apples, plums, as well as the beauty of roses. 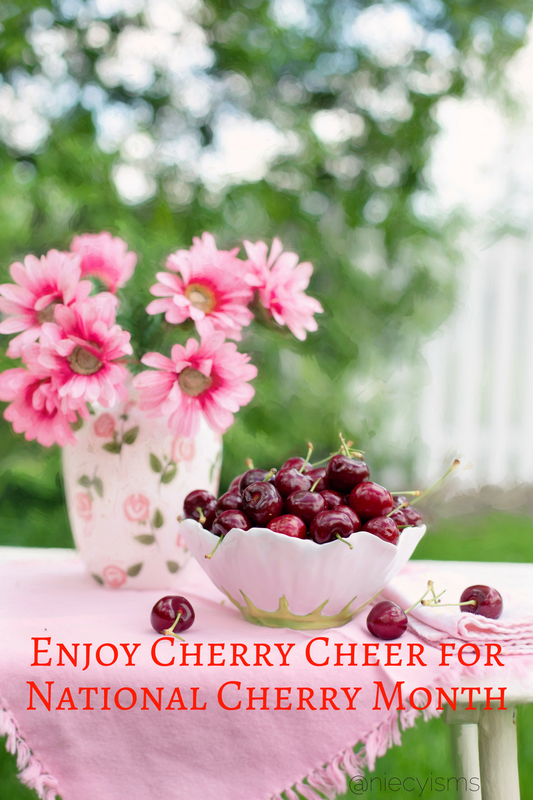 Another interesting fruit fact is that the entire month of February is recognized as National Cherry Month, devoted to our love for the sweet and sour flavor full of cherry cheer only cherries can serve up. Thank you to Welch's and their promotional team for the courtesy of providing product for editorial content purposes. Layered in warm winter sweaters and two pairs of fuzzy socks, here in the Northeast cherries aren't in season, however, many of us keep our love for cherries alive in our hearts. Therefore, February is a seemingly appropriate time to celebrate as the month of the cherry. Aside from sweet (or sour) juiciness, cherries give us healthful benefits from Vitamin C and Vitamin A. Here's one way I'm able to enjoy cherry cheer all year long. Welch's Cherry Fruit 'n Yogurt Fruit Snacks are made with real fruit, surrounded by a tasty coating of creamy yogurt. Always recognized for their high quality fruit, Welch's continues in this tradition with new, gluten-free, low fat, and low calories fruit snacks. 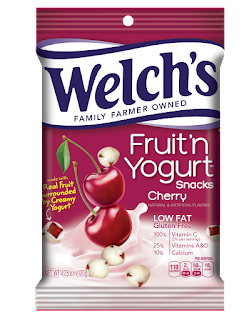 I'm always looking for healthier snack options for my family and Welch's Cherry Fruit 'n Yogurt are just right for enjoying during National Cherry Month or just because for a little inspired cherry cheer! Enjoy cherry cheer with Welch's Cherry Fruit 'n Yogurt Fruit Snacks!